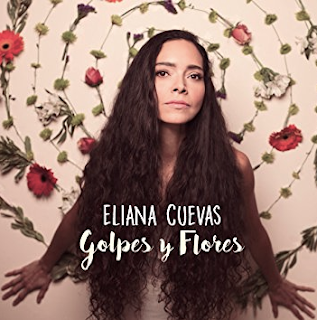 Eliana Cuevas is a Venezuelan-born, Toronto-based, award-winning singer/songwriter. Among her awards are: National Jazz Award for Latin Jazz Artist of the Year; Nomination for Best World Music Solo Artist at the Canadian Folk Music Awards; Toronto Independent Music Award for Best World Music Artist; Nomination for Best Latin Song (‘Llegó from Espejo) at the Independent Music Awards; Independent Music Award for Best Latin Album for ESPEJO; and, a second Toronto Independent Music Award for Best World Music Artist. Eliana has released six albums, including a European anthology of her first five recordings: Cohesión, Ventura, Vidas, Luna Llena, Espejo, and her most recent album, entitled Golpes y Flores, is filled with a unique blend of Afro-Venezuelan rhythms. Stay Thirsty Magazine is pleased to shine a light on Eliana Cuevas and her seductive style of music.